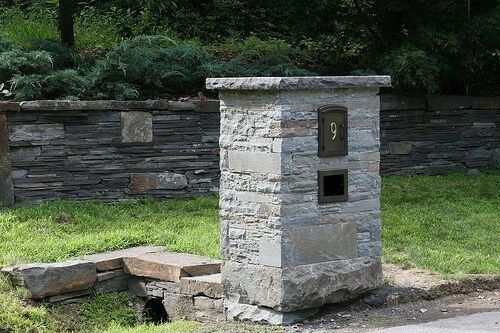 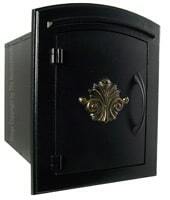 Manchester Locking Wall Mount Mailboxes is an exceptional masonry insert mailbox, designed for use in masonry, column, pillar, brick and rock installations. 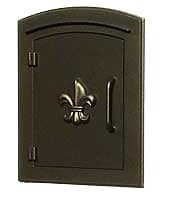 Faceplate is constructed of highest quality, rust-proof cast aluminum and covered in a powder coat finish for long lasting protection. 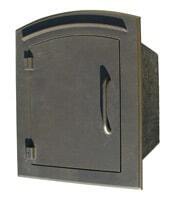 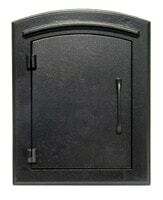 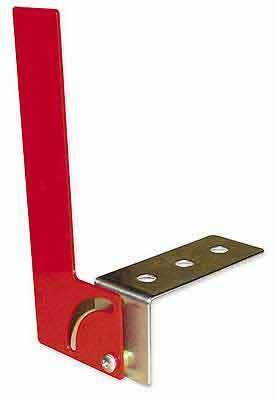 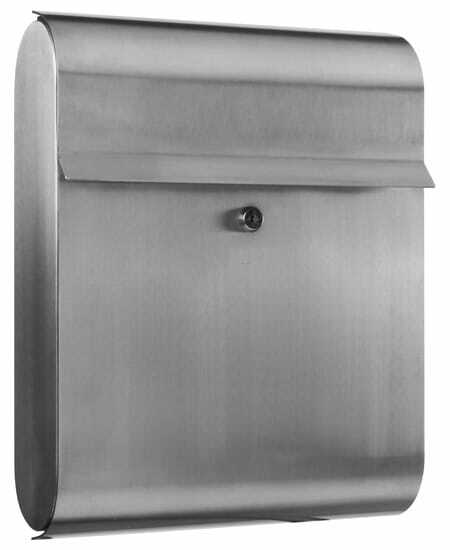 The standard insert of this wall mount mailbox is constructed of 22 gauge galvanized powder coated steel. 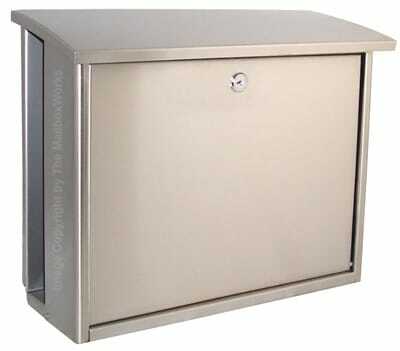 Mailbox doors are sealed for extra protection from the elements. 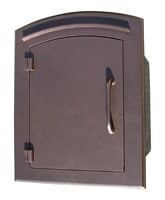 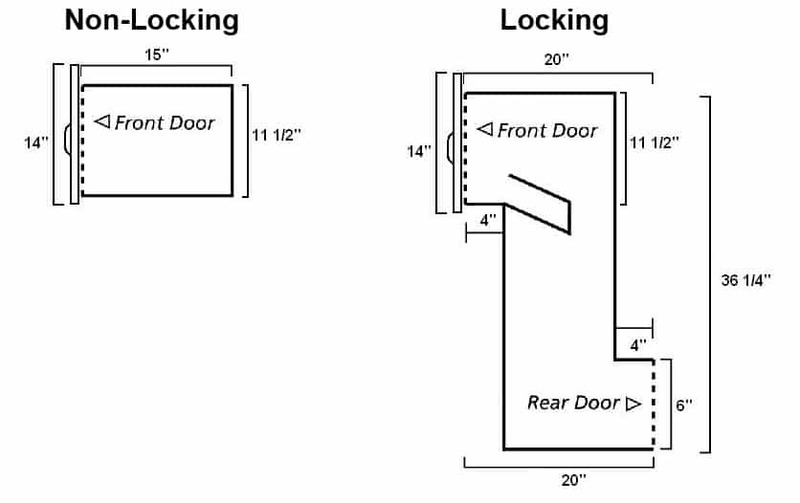 This locking mailbox includes a 16 gauge powder coated steel chute that drops mail out of intruders reach and into a locking rear door for easy retrieval; separate compartment houses outgoing mail. 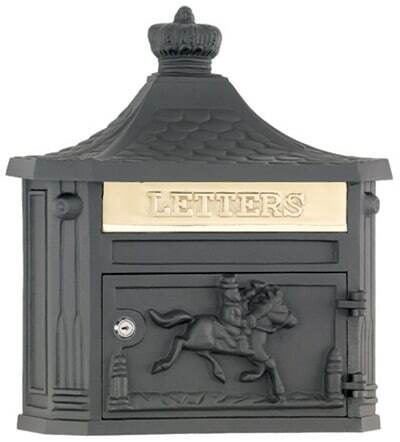 Options for wall mount mailboxes are available in matching colors and include: a newspaper holder, attractive address plaque with highly visible 3″ brass numbers and a masonry flag with a bracket for column. 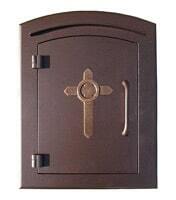 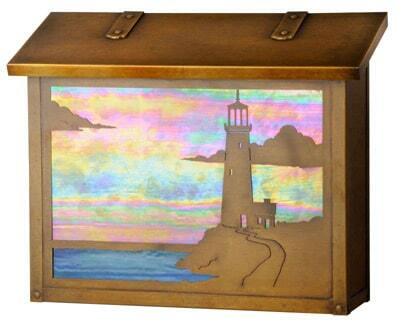 Available in black, antique copper and bronze. 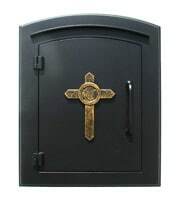 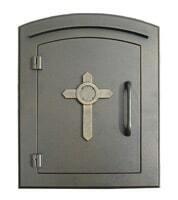 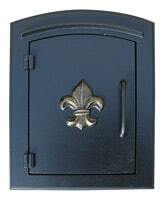 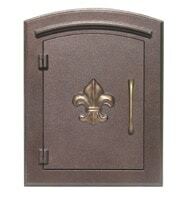 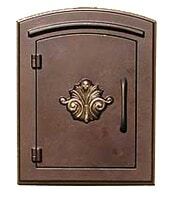 Doors come in four styles: plain, scroll, cross or fleur de lis so you can create your own custom design. 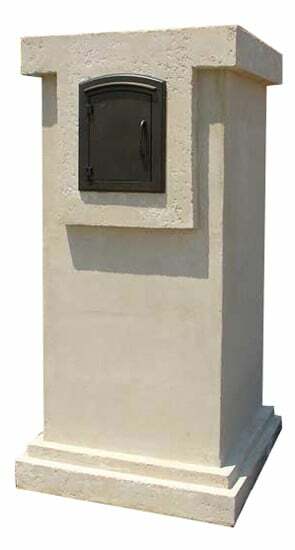 Hiring a masonry contractor can cost thousands. 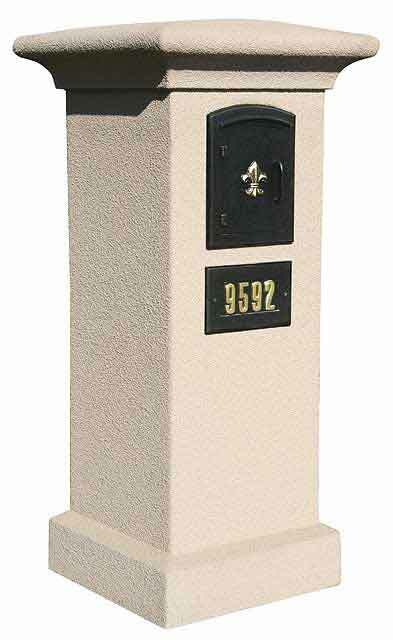 Save time and money with a stucco column designed expressly for the Manchester Wall Mount Mailbox.